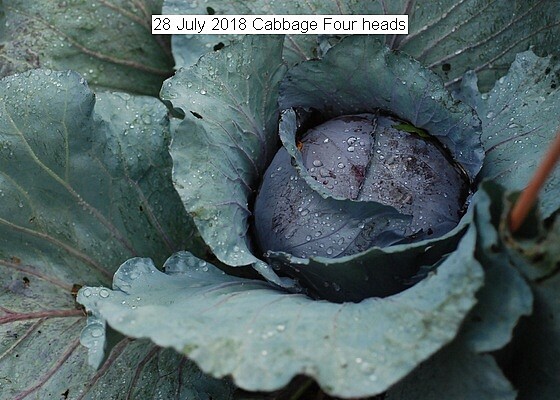 There are four perfect heads of cabbage almost reaching maturity. I suppose I will work at making sauerkraut. Which I have never done. This entry was posted in Uncategorized and tagged 28 July 2018 Cabbage, Cabbage. Bookmark the permalink.